Say you want to play convert MKV to MP4 cause your MKV files are played on Plex without right audio track or your Kodi can't stream your MKV files with right subtitle. Or you maybe also have some YouTube video issues: you want to convert YouTube video to upload to Instagram or you need to convert 3D YouTube to 3D SBS MP4 for Gear VR. Anyway, all these tasks need to be accomplished with a Video Converter. 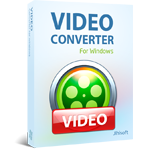 Miro Video Converter is a free converter tool designed that provides users with a simple way to convert videos. Users can simply drop-and-drag files into the app's window or use the browse tool to locate files. Then users can convert video to AVI, H264, MOV, WMV, FLV, MKV and many others. Miro Video Converter has wide users but Miro Video Converter is not prefect that it can't fulfill people's needs from time to time. These lacks of Miro Video Converter lead people to find the alternatives. With 3D, 4K and H.265 codec becoming more and more popular, the alternatives to Miro Video Converter should be able to handle 4K video, decode/encode H.265/HEVC and if the alternative can create 3D SBS video, it would be better. Having searched and tested, finally, we gathered top 5 Miro Video Converter alternatives for you. All the top 5 alternatives to Miro Video Converter can convert video to video. Some onces like Pavtube Video Converter Ultimate also can rip Blu-ray and DVD to digital files. It can remove DVD encryption including CSS, region code, RCE, Sony ArccOS, UOPs, Disney x-project DRM, etc and Blu-ray AAC3, BD+,UOP, HDCP, Region codes, MKB61, etc. It also can create 3D SBS MKV, 3D SBS MP4, 3D SBS WMV for Samsung Gear VR, Oculus Rfit DK2, Oculus Rift CV1, HTC Vive, Google Cardboard, etc. The built-in video editor makes people trim, crop, merge, split, rotate video, add watermark, add subtitle, deinterlacing video, remove/replace audio, etc. You also can adjust video size, codec, resolution, bitrate and audio size, resolution, codec, bitrate and adjust aspect ratio.